The roan is one of the largest species of African antelope. The roan (Hippotragus equinus) is a savanna antelope with a horse-like build (they even smell similar to horses), and one of the largest species of African antelope. 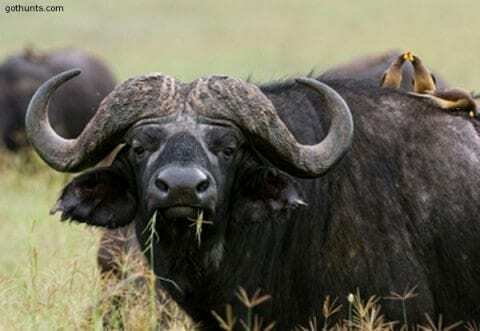 Only eland and cape buffalo are larger. Similar in appearance to sable, the two species are sometimes confused although sable are darker. These unique animals have long, elf-like ears tipped with tassels of black hair. Found in West, Central, East and Southern Africa in woodland and grassland savanna, they are herd animals and will be in groups of five to 35 individuals. They are mostly grazing animals, but when grass becomes scarce, they revert readily to browsing. This is something that is somewhat unique to them, as even their close relative the sable cannot do this. Because of this, they are able to survive droughts and hard times better than sable do. They are dependant on water, however. Like many African species, roan antelope don’t have a fixed breeding season so calves can be born any time of year. There is usually one dominant bull in a herd with separate bachelor herds of younger bulls. Sometimes, the bulls will fight and have an interesting method of getting down on their knees and clashing horns. Listed by IUCN as lower risk, conservation dependent and is on CITES Appendix III in Ghana. Free roaming populations of roan antelope have declined dramatically in recent years as a result of habitat deterioration, poaching, agricultural encroachment, and have been slaughtered deliberately in tsetse fly control efforts. However, due to conservation efforts by hunters (mostly in South Africa), they have made an incredible comeback. Roan are wary, have good eyesight and sense of smell. They are very aggressive and remarkably tough. Usually a roan is part of a plains game package, but they can also be combined with a buffalo hunt in Mozambique. It makes sense to do it this way as your day fees are already taken care of. Our hunting concession in Mozambique holds a good number of mature roan bulls measuring up to an amazing 30 inches. Roan hunting is done by spot-and-stalk and tracking. You will often spot them from the safari vehicle, but ethical hunting is not done from the vehicle. Expect to do some walking on your hunt. Some hunters expect a roan hunt to be easy since they are so large, but it is fairly difficult. We suggest that you hunt between April and October as the weather is dryer, cooler, and more pleasant. The visibility is also better this time of year because the leaves have fallen from the trees and brush. Good shot placement is required. Don’t be under-gunned; they are heavy, tough, aggressive, and therefore potentially dangerous quarry. Absolute minimum would be the .270 Win with the 30 calibers and even larger being a much better choice. Your best bet for hunting roan antelope is a good .338 magnum, the 9.3mm or the trusty .375 H&H. The high heart/lung shot “on the shoulder” is where you’ll want to put it; straight up the front leg one-third into the body.